This is the Sustainable Jersey Certification Report of Ocean Twp (Ocean), a Sustainable Jersey silver certified applicant. Ocean Twp (Ocean) was certified on October 14, 2015 with 355 points. Listed below is information regarding Ocean Twp (Ocean)’s Sustainable Jersey efforts and materials associated with the applicant’s certified actions. Each approved action and supporting documentation for which Ocean Twp (Ocean) was approved for in 2015 appears below. Note: Standards for the actions below may have changed and the documentation listed may no longer satisfy requirements for that action. Additionally, points associated with actions prior to 2013 certifications may not be accurate. 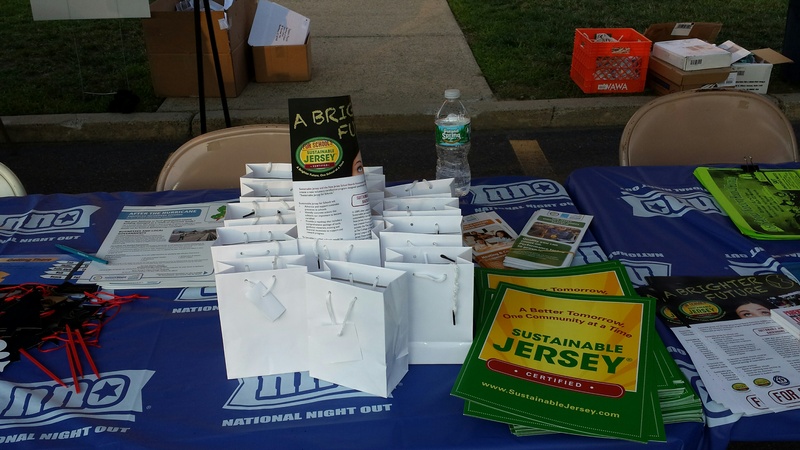 In efforts to increase public outreach and promote responsible pet care the Environmental Commission and Green Team set up an information table on August 5, 2014’s town event. The table was available from 5 PM to 9:30 PM to answer questions and receive input from the public. All local business owners were invited to set up tables and attend the event. The event was a huge success having over 800 community members attending. More than five hundred educational brochures and flyers were distributed to the public provided by the Popcorn Park Zoo Animal Rescue and Sanctuary. The contents consisted of information regarding human relationships with Wildlife, and protecting Endangered Species. 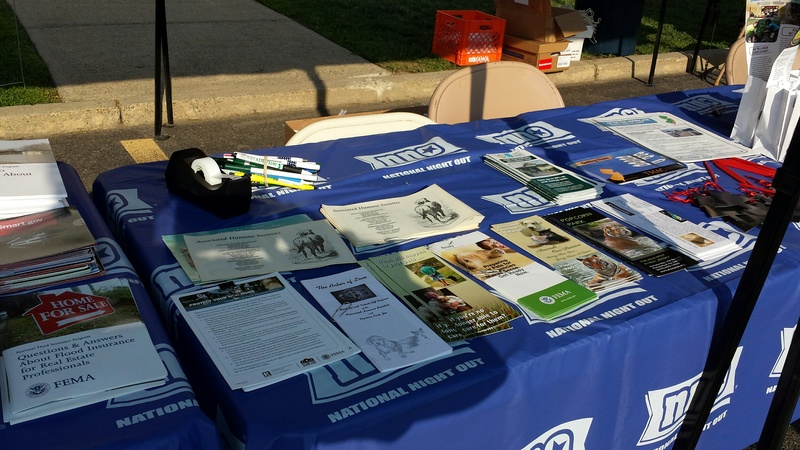 Handouts regarding the township annual Free Rabies Clinics, pet licensing, Have a Heart Traps, and a draft of the Animal Management Plan and Pledge were also available at the table. The Popcorn Park Zoo Animal Rescue and Sanctuary has been employed by the Township of Ocean for over 20 years as Animal Control Enforcement. Their facility provides educational programs which the Township of Ocean promotes to residents including the Associated Humane Societies “Share a Pet” Program, FEMA- Preparing your pet for emergencies planning, and trips conducted by volunteers at the Popcorn Park Zoo Animal Rescue and Sanctuary to the Humane Society. All programs were advertised at the table August 5th. To reduce the community complaints of the stray and feral cat population two effective programs have been implemented by the township. These two programs are the Have a Heart Program and the annual Rabies Clinics. The township understands that lifelong pet care is expensive. To help its community members the Township of Ocean Board of Health conducts an annual Free Rabies Clinic. This clinic educates participants on the importance of rabies vaccinations while providing vaccinations at no cost. This clinics efforts reduce the number of stray pets due to lack of affordability. To reduce the number of feral cats the Township of Ocean assisted by the Popcorn Zoo Animal Rescue and Sanctuary offers a Have a Heart Trap Program to all residents in the community. After obtaining a trap from the Municipal Town Hall, specific animal friendly instructions are provided ensuring stray and feral cats are trapped humanly. Animal Control Officers retrieve the trapped cats bringing them to their rescue adoption shelter. This program decreases the population of stray and feral cats giving them a chance to be adopted. Educational and advertisement flyers for these programs are displayed and distributed to the public at informational tables at all township events, community TV Channel 22, email blasts, and the website (www.twpoceannj.gov). The Township of Ocean developed this plan using the expertise and input of the Environmental Commission, Green Team Advisory, Board of Health Secretary, Popcorn Park Zoo’s Animal Enforcement Officers, Municipal Construction and Zoning Officials, Superintendent of Public Works, and Municipal Clerk. 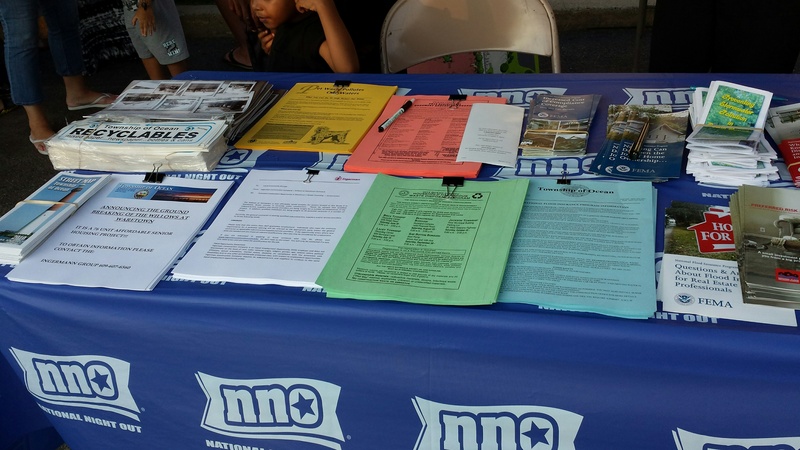 At the most recent township event National Night Out held on August 5th a generated draft of this plan was outreached to the community. This gave community members the opportunity to share their thoughts, ideas, and concerns providing the feedback needed to address the interests of the wider community. The Township of Ocean realizes the importance of Community Outreach and Education holding ongoing events, programs, and communication. The township website (www.twpoceannj.gov) is an extremely useful tool offering the public access to such information as our NRI, Municipal code book, announcements, and reports. Direct communication with members of the community is accomplished by email announcements, reverse 911 calls, and the NIXLE. Additionally the township provides a community cable television station- TV Channel 22 and Facebook page for resource tools to advertise events, daily announcements, and general information to the public. URL: OceanTwpgovOceanCountyNJ Community outreach events and programs are the Town Wide Weekend Clean Up, Founder's Day, National Night Out, and Neighborhood Watch. The Township Committee also enjoyably hosts an annual first grade field trip to each Municipal department to educate children about their community. These annual ongoing events offer updated community educational material including but not limited to reducing waste, storm water management, water conservation, recycling and pet care. All Municipal departments are present at each event to answer questions, hand out educational literature and material to the public. Events are advertised via newspapers, community TV channel 22, the township website, and road side blinking lights. Flyers are posted continuously in Municipal buildings, Elementary Schools, and local library to promote events. Resolution 2014-210 adopted June 12, 2014. RESOLUTION ADOPTING ESTABLISHMENT OF A GREEN TEAM ADVISORY COMMITTEE PURSUANT TO SUSTAINABLE NEW JERSEY Resolution No. 2014-210 adopted June 12, 2014. RESOLUTION SUPPORTING PARTICIPATION IN THE SUSTAINABLE JERSEY MUNICIPAL CERTIFICATION PROGRAM Resolution No. 2015-44 adopted January 2, 2015. Appointing members of the Township of Ocean Green Team. 2015 Township of Ocean Floodplain Management Plan (FMP) is incorporated as an element of the Township’s Master Plan. The FMP identifies and assesses flood hazards within the Township, establish the goals and objectives for floodplain management in the Township of Ocean, and presents a series of actions designed to minimize flooding and mitigate the impacts from flooding in the future. The FMP also evaluates the need and potential options for wetland restoration and maintenance and/or other engineering control measures to mitigate potential storm surge in those areas of the Township that may be vulnerable. The Floodplain Management Plan is designed to maximize points available under the Community Rating System Program - currently a 6. Included in the FMP Appendixes D-M illustrate maps. 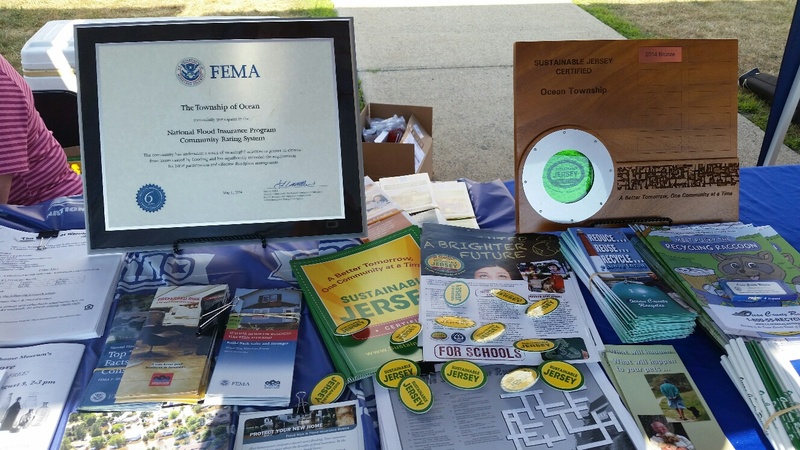 To enhance community outreach and education a flood planning information table was available for the public at the annual 2015 Founder's Day event held May 23rd. Four members of the Floodplain Management Committee were present to answer public questions and concerns. The community website is an important resource tool including links for flooding resources and information including the Floodplain Management Plan. www.twpoceannj.gov http://www.twpoceannj.gov/FMP/flood-mgmt-plan.html Ordinance 2013-22 Flood Damage Prevention Resolution 2015-91 Flood Plain Management Committee A list of the municipal representatives involved in the completion of the GTR Tool and the Floodplain Management Plan is listed as acknowledgements in the introduction of the plan. The pressing issue of bamboo spreading quickly in various areas of the community was brought to the attention of the Township of Ocean Environmental Commission by community members in 2012. Due to the fact that bamboo serves no purpose in this area, wildlife cannot pass through it, and mosquitoes lay eggs in the water it collects the EC felt that the township would benefit from action to be taken. The purpose of this ordinance is the protect and promote public health through the control of the growth of invasive plant species. Going the extra mile to reduce pollution and stop illegal dumping the Township of Ocean holds an Annual Town Wide Clean Up Weekend at NO COST to the residents at the Waretown Lake & Recreation Area- thirteen (13) year and counting! This event is conducted by the Township Committee, Department of Public Works, and volunteers from the Environmental Commission and Green Team Advisory. Participation from residents grows larger and larger each year. The event gives residents of the community an opportunity to easily dispose of their waste and provides community outreach and education. Residents disposed of over 121 tons of bulk garbage in 2014's 12th annual event which was held June 14th-15th. Other items disposed of included; 10 refrigerators, 20 propane tanks, 8 tons of E-waste, 8 tons of tires, 750 gals of waste oil, 100 gals of antifreeze, 2 dumpsters of concrete, 18 bins of paint, 25 tons of stumps and brush, and 4 dumpsters of metal. Please see attached for tonnage results of June 19 -20th's 2015 13th Annual Event. Accepted materials include the following; bulk garbage, tires, metal, appliances, propane tanks, Freon items, waste oil, brush, stumps, batteries household/ marine, paint, cardboard, newspapers, magazines, and co-mingles item- all at no cost. Advertisement for the event is placed on roadside flashing signs, community television- channel 22, Township website www.twpoceannj.gov, flyers (distributed at community events attached), and is printed every year in the free Township calendar mailed to each resident every December for the upcoming year. The Township of Ocean Environmental Commission is actively involved in the community’s development. The purpose of Source Water Protection Plan is the reduce and/or eliminate potential threats to drinking water sources, identify actual and potential sources of contamination preventing costly treatment processes, avoid the need to obtain alternate drinking water sources, and allow for public education on the importance of protecting their drinking water sources. 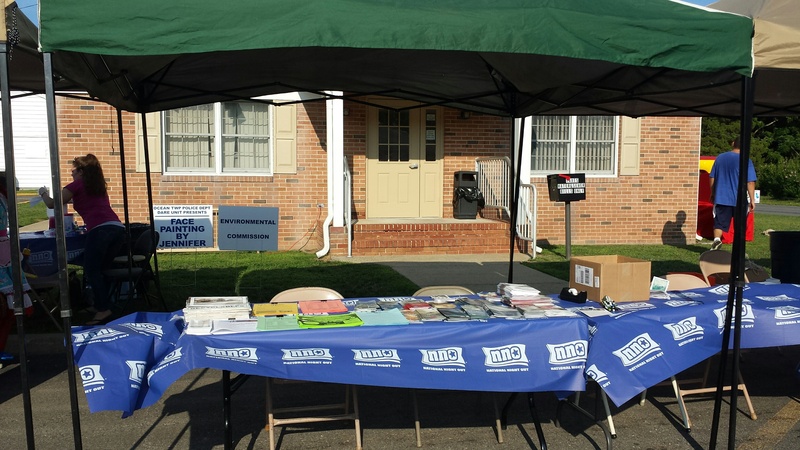 Educational material is distributed to community members at numerous community events such as the annual Founder's Day and National Night Out. Information is posted on the Township website. www.twpoceannj.gov. In 2007, the Township adopted an amendment to the Economic Redevelopment Plan to reflect the Township's plan endorsement and center designation as required by Planning and Implementation Agenda (PIA) approved by the State Planning Commission as part of the Township's plan endorsement. The 2007 amendment established the framework for pedestrian- oriented, mixed-use center within the redevelopment plan area designated in the 2000 Economic Redevelopment Plan. The Economic Redevelopment Plan adopted April 11, 2013 by Ordinance 2013-8 includes updated maps of the areas, condition analysis, and improvement guidelines. The Plan's intent is to guide the redevelopment of the TC Town Center District with smart growth planning principles which includes pedestrian, bicycle, and surface parking guidelines. The 2013 Economic Redevelopment Plan was adopted into the 2015 Municipal Master Plan. Section 5: Relationship to the Land Use and Zoning Ordinance bullets the contents of the 2013 Plan which includes section 5.1.5 Circulation: *Creates pedestrian walkways, bike ways, and other pathways to enhance both the ability and desirability of walking and biking. *Design the interior roadway of the Center to meet the needs of the car, pedestrian, and bicyclist. * Establish trails and green ways linking neighborhoods, schools, recreational facilities, community facilities and the Town Center. The Township of Ocean 2015 Master Plan Reexamination Report and Master Plan Amendments adopted May 7, 2015 incorporates a new amendment for the Bicycle and Pedestrian Plan. The amendment establishes a vision, discusses key principals of the design and maintenance of the bicycle and pedestrian facilities, and outlines important goals and objectives for their provisions. The Element envisions that linkages will be provided in the form of: on-road bicycle lanes, lanes shared between bicycles and vehicles, where appropriate; greenways; and protected multipurpose trails. In all variations, bicyclists and pedestrians will be able to travel in a safe and efficient manner throughout the network, which will boost bicycling and walking for recreation, and increase their use as a means of transport. The bike/ped conditions were evaluated by: · Evaluating open space and recreation areas throughout the Township for improvements to bicycle and pedestrian access and facilities. · Identifying existing sidewalks, on-road bicycle lanes, bicycle paths, greenways, and multi-use trails; locate needed connections between existing facilities · Determining key destinations within Ocean Township · Reviewing the existing Barnegat Branch Trail and determine priority connector points. We plan to implement this by: · Establishing a permanent advisory committee for bicycle and pedestrian facilities.- The Township will need to decide who will be on this committee. Considering a subcommittee of the Green Team. · Ensuring that all bicycle projects comply with recognized design standards, such as the Guide for the Development of Bicycling Facilities prepared by the American Association of State Highway and Transportation Officials. The Township Land Development regulations should be updated to require bicycle project compliance with design standards. · Investigating potential funding mechanisms for bicycle and pedestrian facilities, including grants and open space trust funds. This should be an action of the bicycle and pedestrian facilities advisory committee. · Coordinating bicycle planning with Ocean County and the State of New Jersey. · Developing a Township-wide bicycle and pedestrian facility map that is displayed at parks and other major destinations. Additionally, standards for trailhead signage and locational markers should be developed. This should be an action of the bicycle and pedestrian facilities advisory committee. · Writing a maintenance plan for the bicycle and pedestrian network in Ocean Township. This should be an action of the bicycle and pedestrian facilities advisory committee. The Township of Ocean Environmental Commission in consultation with the Township of Ocean Land Use Board has a prepared this ERI as a reference for land use and planning decisions in the Township. This Township first prepared a Natural Resource Inventory in 1978, which was updated by the New Jersey Pinelands Commission and incorporated in the 1982 Township of Ocean Master Plan. Ocean has many planning documents that consider natural resources, such as the Municipal Master Plan (1999/2001), Amended Land Use Plan Element, Circulation Plan Element, Community Forestry Plan 2002-2007, 2008-2015, the 2005 Open Space and Recreation Plan, and 2008 Recreation Open Space Inventory. The purpose of the Environmental Resource Inventory is to identify the natural resources within a municipality, to describe their importance to the public health, safety and welfare of the community, and to recognize the potential adverse impacts. ERI provides an essential part of the background data necessary for a Planning Board to review key environmental characteristics and concerns for a particular site. The Planning Board would then apply this information while considering future master plan amendments and reviewing individual applications for development. Originally incorporated into the Master Plan in the year 1982 it is regularly updated in accordance with the provisions of the Municipal Land Use Law. The Township of Ocean Open Space and Recreation Plan Element was adopted as part of the 2015 Municipal Master Plan Rexaminatin Report and Master Plan Amendments on May 7, 2015- Resolution 2015-9-PB (see attached). In addition to amending the OSRP to include updated mapping of the Township's recreation and open space areas, the plan's list of objectives and action items were amended to include additional objectives and action items to help increase resiliency within the Township. The OSRP Element is located page 50-52 of the 2015 Master Plan (attached). Appendix B provides the updated mapping of the Township's OSRP (attached). http://www.twpoceannj.gov/mgt-plans/index.html Information is located on the Township website (www.twpoceannj.gov). The Township of Ocean recognizes the importance of a proper and accessible drug disposal program. In efforts to prevent negative environmental and societal impacts the township has conducted two collection days per year in the community. (See Attached) Collection disposal dates are widely advertised via town emails, new paper advertisements, blinking lights, and the town TV Channel. As of January 27, 2014 the Township of Ocean has become a partner in “Project Medicine drop, led by the New Jersey Division of Consumer Affairs. This gives consumers the opportunity to dispose of their unused prescription medicines safely and securely, in secured drop boxes maintained by law enforcement agencies. Being a Project Medicine Drop partner the Township of Ocean has now established a permanent drop off location, 50 Railroad Ave. Waretown, NJ 08758. (See Attached). Our September 27, 2014 event collected 54 pounds of medication, and the April 26, 2014 event collected 144 pounds. The Township of Ocean promotes the collection of Ocean County’s Mixed Rigid Plastic Recycling Program on the front page of the township website- (www.twpoceannj.gov) and the community cable television station- TV Channel 22. Ordinance 1990-20 requires the recycling of polystyrene, polyvinyl chloride and chlorofluorocarbon and other plastic products. Additional in efforts to ease to burden of disposing items made of Rigid Plastics it is accepted annually at the Township of Ocean Weekend Township Clean Up. The Township of Ocean recognizes the importance of an established program and enforcement for collection of recyclable material from commercial and institutional establishments in the community. Ordinance 1988-5: "ESTABLISHING A PROGRAM FOR THE COLLECTION OF RECYCLABLE MATERIAL FROM RESIDENCES AND COMMERCIAL AND INSTITUTIONAL ESTABLISHMENTS IN THE TOWNSHIP OF OCEAN, TO PROHIBIT THE DISPOSAL OF RECYCLABLE MATERIALS INTO THE CONVENTIONAL MUNICIPAL SOLID WASTE DISPOSAL SYSTEM, TO EMPOWER THE RECYCLING COORDINATOR, TO PROMULGATE REASONABLE REGULATIONS THEREFOR, AND TO FIX PENALTIES FOR THE VIOLATION THEREOF" In efforts to increase successful recycling for institutional establishments the Township provides weekly recycling pickups and special curbside pickups for metal, electronics, brush, marine batteries, freon, and propane. Ordinance 1988-5 "Establishing A Program For The Collection of Recycling Material Form residences And Commercial And Institutional Establishments In The Township Of Ocean, To Prohibt The Disposal Of Recyclable Materials Into The Conventional Municipal Solid Waste Disposal System, To Empower The Recycling Coordinator To Promulgate Reasonable regulations Therefor, And To Fix Penalties For The Violation Thereof". The Township of Ocean's website contains community recycling and garbage disposal regulations. The website includes special curbside pick ups, a accepted materials recycling flyers, Township recycling clean up events, and the Ocean County Recycling Programs. http://www.twpoceannj.gov/ http://www.twpoceannj.gov/DPW/recycling_garbage.html http://www.twpoceannj.gov/DPW/Single_Stream_flyer.pdf http://www.ecode360.com/14286869highlight=recycling%20coordinator,recyclable,recycling#14286869 The Township's Code Enforcement Officials and Recycling Coordinator enforce recycling regulations strictly. On scheduled recycling and garbage days officials randomly inspect the contents placed curbside within the community. If recycling contents is found for garbage day a notice is placed on the residents door knob (attached) with description of violation. The Township of Ocean collects shrink wrap curbside as part of its recycling program. Ordinance 1990-20 requires the recycling of polystyrene, polyvinyl chloride and choroflurocarbon processed foam packaging and other plastic products. The Recycling Coordinator may enforce violations and penalties punishable by a fine of not less than one hundred dollars nor more than one thousand dollars or by imprisonment for a term not to exceed ninety days, or community service of not more than ninety days or any combination of fine, imprisonment and community service as determined by the Municipal Court Judge if not complied. (Attached) The township is a designated as a Boat Shrink Wrap Recycling Location drop off located at the Ocean Township Public Works Garage. 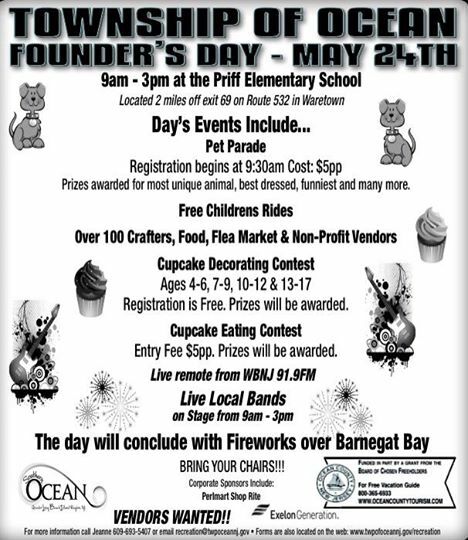 The advertisement for this is on both Ocean County and Township of Ocean web sites. Flyers for this information are distributed at all annual township events. The Town Wide Clean accepts shrink wrap every year. This is mass advertised to residents in new paper ads, blinking lights, email announcements, TV channel, email announcements, and on the township web page.